When citing the year of their inception, many breweries—well, how to say this delicately?—polish the apple somewhat. The date you find on a bottle may refer to monks who brewed there once, or an unrelated brewery from centuries earlier, or some other abstruse connection to antiquity. That’s why it’s nice to be able to highlight truly historic breweries. And, when they happen to make the classic example of a beer style, they deserve special celebration and acclamation. 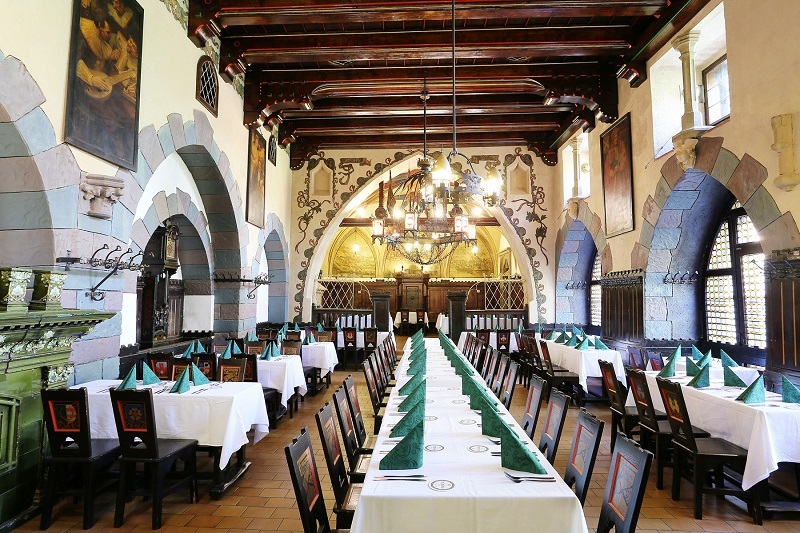 Thus I give you the sprawling brewpub at the heart of Prague, U Fleků, founded—really!—in 1499. The restaurant is now most famous (or notorious) for its oompah bands and the kitschy “old-world” experience it presents to tourists, but for beer fans, a real treasure can be found in the mugs delivered by the trayful. A beer of just one flavor, a standout tmavé (dark lager) in a land of světlé (pale). Dark lagers constitute a decided minority of Czech lagers, so much so that even their names aren’t a settled matter. Some breweries designate them with the word tmavé (“dark”) while others opt for černé (“black”). When corresponding with U Fleků’s Martin Plesný, I asked him to explain the nuances distinguishing the two. “As we understand it here in U Fleků,” he wrote, “’black’ is simply darker than ‘dark.’ We call our U Fleků lager ‘dark’ (tmavé)—it is very dark brown but not completely black.” But then to confuse matters, he included photos of three beers that all looked identical—but which were labeled variously černé or tmavé. Plesný went on to say that no Czech beers are ever truly black (despite the name černé). As far as the beer goes, U Fleků’s tmavé, called Flekovský Ležák, is unusual even by Czech standards. By tradition, breweries list their beer by strength, using the Plato system for measuring gravity. Lower-alcohol beers are brewed to 9˚-10˚, medium-strength to 11˚-12˚, and stronger beers up to 18˚. Many have no other designation beyond the number. 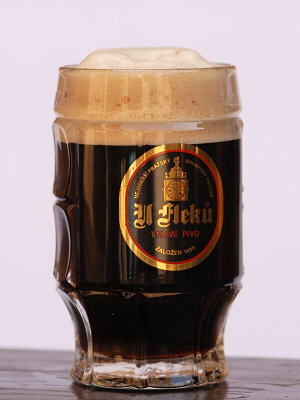 Flekovský Ležák is a 13˚ lager, which would typically indicate strength, yet in fact it weighs in at just 5% ABV. That means a lot of sugar has been left behind, which gives it a luxurious mouthfeel, like a pint of cocoa. There aren’t many hops, so you might guess it would be a cloying beer. Yet while it is sweetish, the malts evoke dark chocolate and coffee, and the lagering gives it a smoothness that clips the heaviness. It’s a velvety beer engineered to please the palates of people sitting in the pub for hours on end. 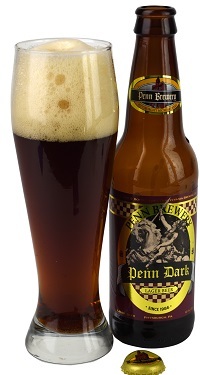 English-language writers often use German styles to describe Czech beers, looking for a schwarzbier or dunkel in their tmavés. But a pint of U Fleků should be enough to end these comparisons; you will find no beer like it across the border. A big part of this has to do with the Czech commitment to decoction mashing. When they make their lagers, Czechs look to accentuate the mouthfeel and expressiveness of their malts. They are thicker, sometimes more husky, and somehow older tasting. U Fleků is very much in that vein. It is a remarkably accomplished beer, but it doesn’t seem like something from this century. Or the last. That may be because this beer evolved from something much older at U Fleků. Until the 19th century, ales were dominant in Bohemia and it wasn’t until 1843—a year after Josef Groll first made his famous pilsner—that U Fleků’s beer turned from ale to lager. Now the brewery follows the typical Czech process involving decoction mashing, which helps build that silky mouthfeel, but this wasn’t always the case. Martin Plesný sent along materials from the brewery’s archives, including a description of a very strange mashing regime that appears to date from the lager era, but before things became codified. The mash began at 100 degrees Fahrenheit, was raised to a protein rest at 122 degrees, and then went all the way past the amylase rest to mash-out at 167 degrees. The temperature rise was slow enough to convert the mash, but imperfectly, leaving behind all those sugars that still characterize Flekovský Ležák. Even though the brewery makes only one beer, evolution remains a part of U Fleků’s DNA. A few years back, U Fleků made a transition from longtime master brewer Ivan Chramosil to his young replacement, Michael Adamik. Just 27, the former motocross racer will have years to tinker with the beer himself. Over a decade, perhaps two, Adamik may slowly put his own stamp on the beer. In the meantime, millions living in and visiting Prague will flow through the old place, stopping for a mug or four along the way. And safe to say that however it does shift in those years, it will remain Bohemia’s definitive tmavé, as it has been for centuries. Tasting Notes: A delicate, nutty dark lager with a drying roast finish. To my palate, this beer falls halfway between a dunkel and schwarzbier--also common for tmavé. Penn's lager is thin-bodied, however, which lets the drinker know that Bavaria, not Bohemia, was the inspiration. 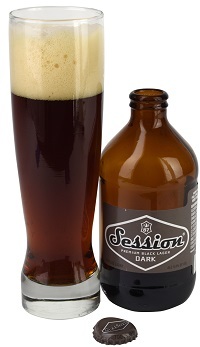 Tasting Notes: Described by the brewery as a dunkel, this beer does have a fair amount of Munich malt flavor. However, it also has a rich coffee roastiness that at turns tastes like dark chocolate. There's a curious ale-like fruitiness that makes it a fuller beer. Tasting Notes: One of the hallmark features of tmavé is a silky, rounded mouthfeel, and Session Dark, inspired by a trip to the Czech Republic, has it. 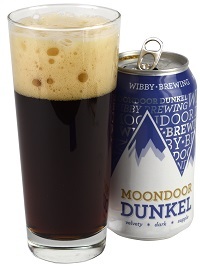 Brewed for easy drinking, it has hints of chocolate, coffee and winter spice.